Eliminate frame damage. A great option for your barn door back-to-back pull sets. Click here for more information. Burns Manufacturing has been supplying products to the architectural door trim industry since 1965. We are family owned and operated, and now in our third generation. We take great pride in the quality products made by our team of experienced craftsmen, and offer you exceptional customer service. Welcome to our website, please take a look around and call us with your questions. NOW AVAILABLE - UL Stamps for Protection Plates and Door Edgings. Call us for more information. 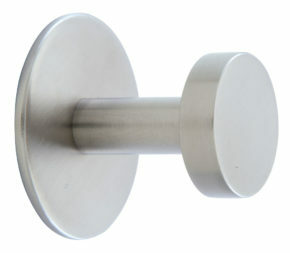 Our modern Coat Hooks makes your choice easier than ever. 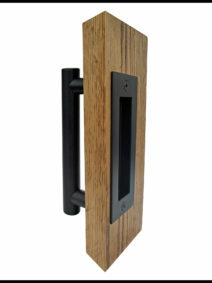 Many different styles and architectural finishes available for your coat hook needs. 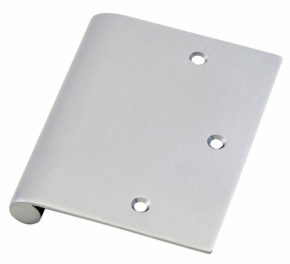 Our solid rod edge pulls come in standard sizes or custom made to your specifications. Can be applied to Square & Beveled edge doors.